In nutrition school, I was taught that there were certain nutritional facts that always held true. A calorie is a calorie. If you eat 500 calories less per day for a week, you will lose one pound of body weight. Just because a “healthy” food might not be enjoyable to you or taste good, it is still important to eat it for good health. Well, there is some interesting evidence that when it comes to nutrition, how much we enjoy our meals may be just as important as what our meals are made of. In October of 2000, Tufts University Health and Nutrition Letter discussed a study that measured how one’s enjoyment of a meal affected one’s nutrient absorption. In the study, researchers from Thailand and Sweden teamed up to see if cultural preferences for a food would affect the absorption of iron from a meal. In the first phase of the study, two groups of women, one from Thailand and the other from Sweden, were fed a typical Thai meal. Needless to say the Thai women preferred the taste of the meal more than the Swedish women did. Interestingly, even though all of the meals contained the exact same amount of iron, the Thai women absorbed twice as much iron from the meal than the Swedish women did. In the second phase of the study, the two groups were served a typical Swedish meal with the exact same iron content. In this case, the Swedish women absorbed significantly more iron from the meal than the Thai women did. In the second phase of the study, the Thai group and Swedish group were split up into two subgroups. The two Thai subgroups were given an identical Thai meal, but one of the subgroup’s meals was pureed into a mush. Even though both of the meals had the exact same iron content, the women who ate the mushy meal absorbed 70% less iron than the other group. The study was repeated in the Swedish group and the results were similar. So what does this tell us? Taste and enjoyment matters to nutrient absorption! If you are one of those “nutrition martyrs” who eat foods that you really don’t enjoy just because they are “good for you,” it’s likely that you aren’t absorbing much of the nutrients from those foods. Conversely, even if you are eating a food deemed “unhealthy” by the food authorities, if you are truly enjoying and savoring it, you will be absorbing more nutrients from it. Now, this isn’t license to only eat “junk.” But, instead of forcing yourself to eat healthy, but not tasty food, how about finding healthier foods that you enjoy? Instead of eating fat-free cheese, which, ahem, tastes like plastic, how about savoring some real sharp cheddar from a Vermont dairy? Instead of munching on low-quality chocolate, how about enjoying a piece of dark chocolate that is full of antioxidants? I am willing to bet that if you start to incorporate more pleasure into your meals, you’ll be happier and healthier. 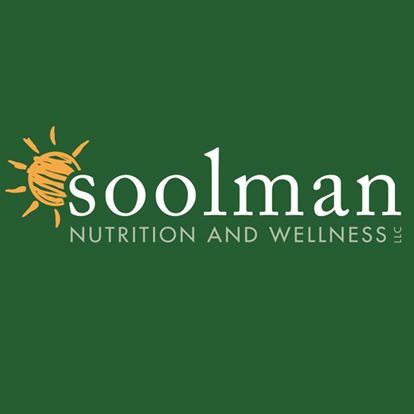 This entry was posted in Nutrition and tagged eating disorders, nutrient absorption, wellesley dietician, wellesley dietitian, wellesley nutritionist by Joanne Soolman. Bookmark the permalink.